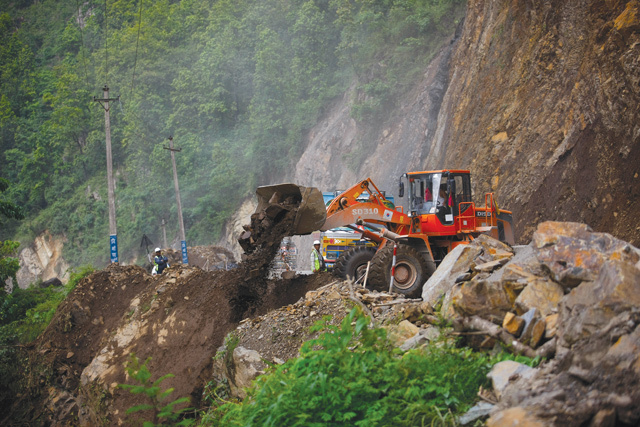 When the 36km Mugling-Narayangad Highway was completed in 1982, after four years of Chinese engineers dynamiting sheer rock, it was regarded as an engineering feat. 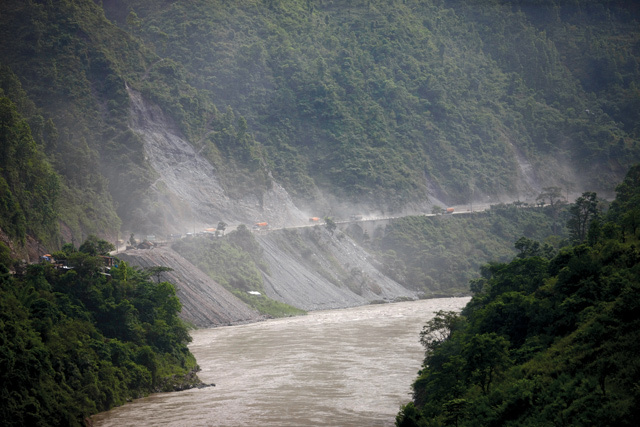 The highway sliced through the cliffs on the left bank of the Trisuli River, connecting Chitwan to the midhills of Nepal. A journey that used to take five days on foot was suddenly reduced to a 1-hour drive. Buses and cargo trucks between Kathmandu and the rest of Nepal preferred this 200km detour via Mugling to the other serpentine roads through the mountains. But as traffic volume grew, it was clear that the narrow road either needed to be widened, or alternatives found. 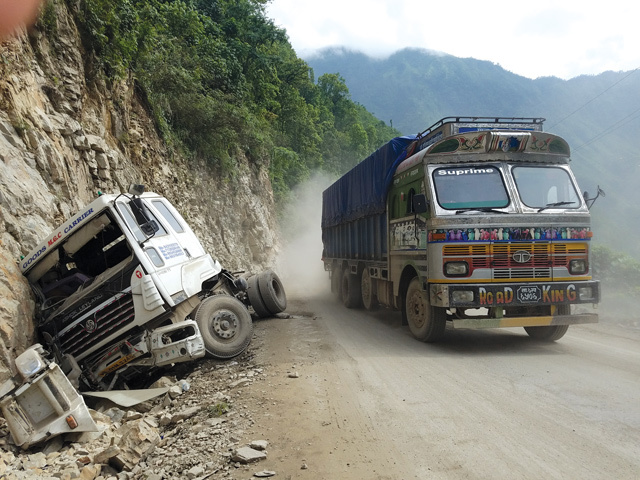 There are now other routes connecting Kathmandu to the central and eastern plains, but the Sindhuli Highway is too narrow for trucks, and alternative roads to Hetauda via Kulekhani and the Bagmati corridor are delayed. 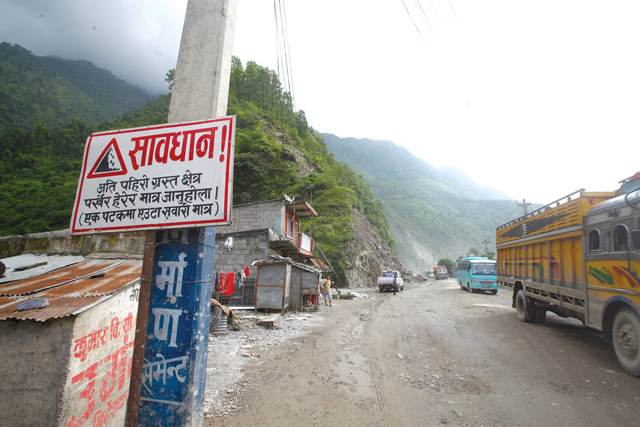 The widening work on the Mugling road had just started in April 2015 when the earthquake struck. The work was further pushed back by the blockade, and only 55% of the World Bank-financed Rs 3 billion project to make it a 11m wide, double-lane highway has been completed so far. This monsoon, slopes already weakened by the earthquake have failed repeatedly. More than 99 people have been killed in the past year alone. 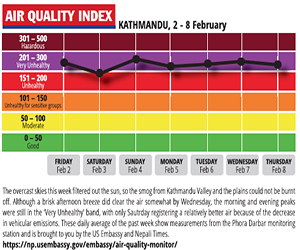 There are gigantic traffic jams, with horror stories of people taking 14 hours to get from Kathmandu to Bharatpur. The highway has now been closed at night to prevent further accidents, as well as to expedite construction. 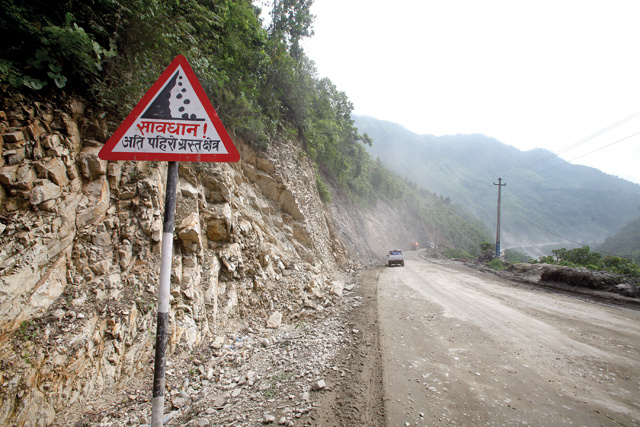 The most dangerous part of the highway is the first 5km after Mugling, where a rockfall on Wednesday took 19 hours to remove. 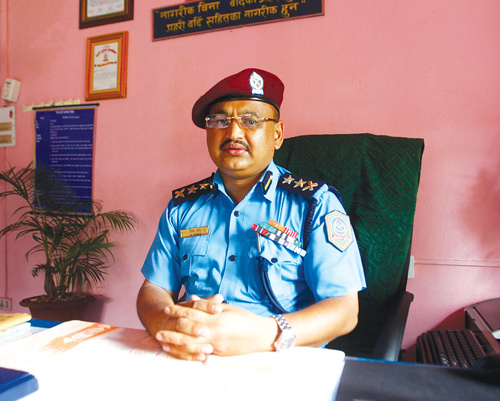 “We have to be on emergency duty 24 hours with our rapid response team: we never know when the landslides will hit next,” says Chitwan SP Dipak Thapa. On 23 June, four policeman working to remove a previous rock fall here lost their lives when a landslide swept them down to the Trisuli. 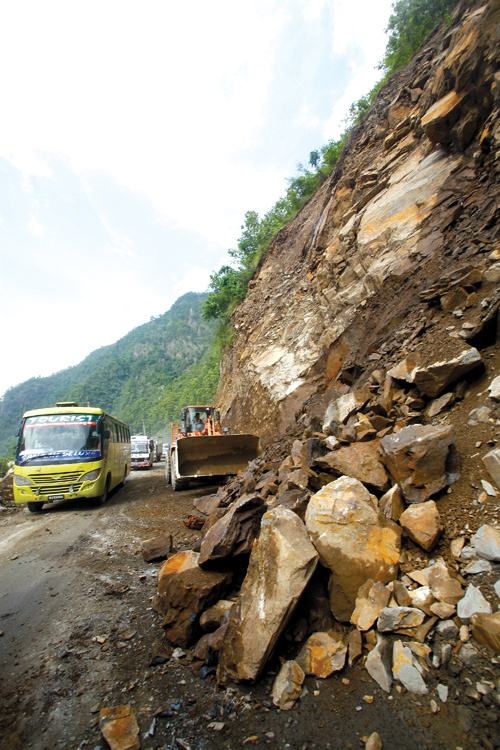 Prabhu Joshi of the civil contractor Shrestha Construction admits the reason for the frequent landslides is that the original design doesn’t have preventive measures to protect the slope and reduce landslide risk. 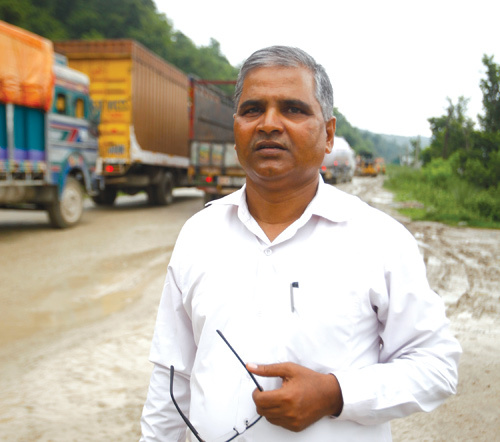 Project in-charge Chandra Naryan Yadav says the fragile rock structure of the Trisuli Gorge makes it difficult and expensive to have 100% protection from landslides, but he is confident the slopes will stabilise in the next few years. Hindu pilgrims from around the world flock to a lake in Manang,convinced it is a holy spot mentioned in the Ramayana.